Religion and politics do not mix. It is said to be a hazardous cocktail. Religion has often served political ends. God is repeatedly sold for notes and votes across several religions. Violence has sometimes enjoyed religious sanction. Heinous crimes have been committed against humanity in the name of God. ‘The other worldly’ concerns of religions have numbed and anaesthetised us and we have become deaf to the cries of the poor. Religion has often proved to be the heart of the heartless. Time and again it has become the escape route that silences our conscience that constantly pricks and summons us to take responsibility for the precarious plight of nature and humanity. It has legitimised patriarchy and violence against women. It has gendered our God. When God is viewed as male, then man becomes God in our society. The evils of casteism, racism and terrorism have found safe havens in the arms of religion. This does not means religion is the root of all evil. There are sublime aspects to it. It has brought peace, harmony and happiness to humanity. It has often inspired people to undertake sacrifices to the point of death for the noble cause of emancipation of humanity and the environment. It has healed physical and psychological wounds. Religion is indeed a powerful pillar of society. SOME thought that it would die in the cauldron of secularism, modernity, science and technology. Though atheism is growing, religion has shown no signs of extinction. In fact, we can notice a religious surge across the globe. The expansion of the neo-liberal economy has ironically brought in conservatism. The right is often a blend of cultural and religious fanaticism. We are witnessing the rise of right all over the world. We are fast moving towards the totalitarism of the right. The way dissent is being silenced in our country also shows that we are not far from it. Right wing forces have become aggressive. The moral police among them have begun to police our food habits. The cow vigilante brigade has let madness rule our society. Mobs have attacked and even killed people on mere suspicion. We saw ghar wapsi follow inam wapsi. Some even tried to invent riots on the issue of love jihad. The politics of loyalty and betrayal was played in the highest temples of learning like Indian Institute of Foreign Trade, Jawaharlal Nehru University, and Hyderabad Central University, etc. In the name of nationalism, we have unfortunately become rabidly intolerant. In all this, religion did play a significant role. The virus of identity politics has infected our society. Most Indians seem to oedipalise into a submissive silence. CHRISTIANS, like other religious groups, choose passive silence. In an environment, where resistance, disagreement and rebellion are construed as anti-national, it is never easy to become anti-oedipus. The fear of being disowned by the law of the father championed by the Hindutva brigade seems have succeeded in letting Christians, like other religious minorities, succumb to their Oedipus complex. This does not mean that there was a total surrender and abdication of responsibility to speak the truth and stand for the poor. There were still few among the Christians who risked speaking the truth to power. But Christian religious leaders were conspicuous by their absence. Several of other minority leaders and activists from the majority community who stood against the government, were named and shamed by a hostile media that indulged in open supari journalism. Other religious groups also contested the curbing of our several freedoms. We saw a vehement rejection of the suggestion of common civil code for our country by Muslim groups. Dalits protested the recent violence they suffered at the hands of the upper caste. There were women among the Muslims and Hindus who fought for the right to enter the holy of holies of their temple and places of worship. Some Muslim women fought for the elimination of the triple talak system, while others saw it as an intrusion into the freedom of their religious practice. In all this, we can discern an intermingling of religion and politics. It shows that the religious of the religion is not free from the political. Goa was no exception. The religious and political continued to cross each other in very significant ways. The unrelenting struggle of the bahujans against the colonial Mahajan Act in Madcaim stays volatile. 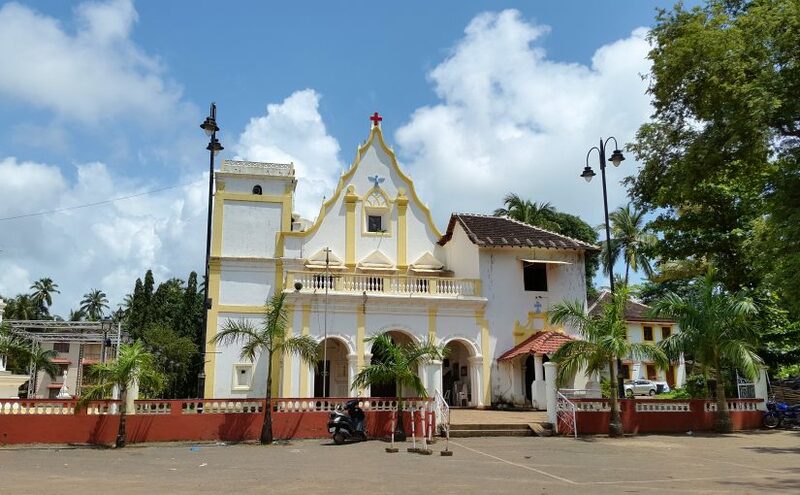 The Bharatiya Bhasha Suraksha Manch’s fight for the withdrawal of funds for primary education to Catholic schools has led to the division of the Rashtriya Swayamsevak Sangh and the founding of the Goa Suraksha Manch party. 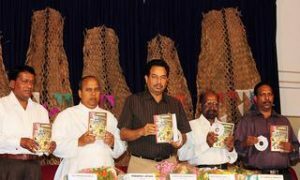 The public positioning of the plight of Catholics in India, by Bishop Theodore Macarenhas during his sermon on the occasion of Feast of our Goemcho Saib St Francis Xavier, drew the attention of all Goans. Most saw it with favour. Not everything coming from the portals of religion has been welcomed to the same degree. The closed door meeting of the secretary of the Diocesan Society of Education with central ministers was viewed with great suspicion and drew a lot of flak. The Archbishop’s speech at his Christmas reception also drew mixed response. There were equally strong voices contesting a priest’s support for the Monserrate couple during Christmas mass. All this shows that the religious in Goa is also not free from the political. Hence, it is important to understand and discern how the political has reinvented our society. We have to further understand how it politicises us and fires the politics in our society. NO religion is apolitical. The political in the religious engenders politics in our society. The political in any form politicises us. The political in the religious produces identity politics like the political in the caste does. Religion has often been milked to generate identity politics in our society. Hence, it is important to understand how the political in the religious affects and afflicts us. We may take different paths to discern the political in the religious. May be a linguistic process of signification and asignification offers us an effective way of analysing the political in the religious. Usually we think language has a function to signify meaning. All words carry meaning through a process of signification. This process has a revelatory function. It reveals us our world. Technically, the science of linguistics calls the word signifier and the meaning it signifies the signified. There is no strong unbreakable relation between the word (signifier) and the meaning (signified). The process of signification is dynamic and not static. Hence, the relation between the word and the meaning (content) it signifies is not fixed. This means it is the context that decides the meaning of its use. That is why the same word (such as ‘bank’, ‘pen’ or ‘coach’) can have different meanings depending on the context of their use. To discern the political in the religious, we have to understand the process of signification. The process of signification or making meaning is powerfully dynamic. The words do not just positively ascribe and sign meaning. Depending on the context and usage, the word can also stand for a process that squeezes out content from conventional meaning that it otherwise evokes. Thus, the word Konkani does not just have the same meaning across all communities in Goa. Depending on the community that uses it, it suffers a deletion or exclusion of meaning. Thus, for instance, for Catholics, the word Konkani becomes a reminder of the pain of exclusion of Romi Konkani. It becomes an emptying of their mother tongue while for the high caste Hindus, it is a celebration of their triumphant mother tongue. The bahujans among the Hindus see it as a vehicle and instrument of caste discrimination. Thus, we can discern the political through an analysis of the process of signification. Within this frame work, maybe we will have to look at the process of asignifcation. This process takes away, empties, deletes or squeezes part of the meaning/content that is evoked by the word. This means to come to the political in the religious, we will have to track and trace how layers of meanings are suppressed or deleted from the content signified by the word. Therefore, the political cannot be simply viewed through a positivist and essentialist paradigm. Signification can be profoundly asignifying. That is, signification can take away, empty and suppress meaning. While we have to be attentive to the asignifying (suppressing) dimension of our meaning making, we have to be critically attentive to an addition of content to the same. Addition can result into iconisation or demonisation of a person or community. Thus, we can easily see how with the addition of content that relates to Hinduism to the term ‘Indian citizen’ results in its iconisation while adding content that relates to Christianity and Islam to the same term it is demonised. The process of suppression and addition of meaning content are sites where the political can be traced. It can iconise, demonise and trivialise the meaning attached to the word. It is the political that iconises, demonises, trivialises and thus politicises us. That is why to trace the political, we will have to decode how the same term iconises, demonises, trivialises and renders us political. Perhaps we can begin at the beginning. The word Christian/ Hindu/Islam etc, remains iconised and triumphant for the insiders (Christians, Hindu, Muslims respectively) but gets demonised and trivialised for outsiders depending on the degree of suppression or addition it undergoes from varying contexts (Christianity, Hinduism, Islam etc, respectively). This means a discourse emanating from any religious group can become iconised or suffer demonisation and even trivialisation at the same time. Thus, for instance, we may iconise, demonise, or trivialise the discourse of the archbishop or that of the leaders of BBSM or any religious leaders depending on what we do with the discourse. That is, we may suppress or add content to the same discourse. It is this signifying and asignifying practice that renders us political and triggers politics in our society by politicising us. These processes are complex and cannot be linearised and occur in a highly chaotic manner. Fear, trauma, anger or even simply pride can trigger these signifying practices. Thus, someone may suppress every other dimension of our humanness (suppress content) and add Hinduness or Indian-ness and politicise us and thus produce capital for a political party. We can see this in the communal programme of the BJP. On the other side, we may find that simply the fear of communal ideology may trigger a feeling of being minoritised and thus, get politicised to benefit the secular parties. We can trace the political across all religions. All human communities are vulnerable and can be politicised in various ways. We have seen caste, language, culture, region and religions have been important sites that have politicised us in the past. No religion can be insulated from politics. Several politicians and political parties have preyed on religion to produce political capital. Goa has been no exception. Our religion, caste and language have been a means of political capital for all political parties in our society. We may have to watch the signifying and asignifying practices that construct the political in our society and politicise us. A careful and critical attention to these practices can empower us from being victims of manipulation in the hands of those who politicise us by manufacturing the political. What will be the political this time that is going to politicise us for this election? Will it be Konkani as the BBSM and GSM combine wants us to believe? Will it be corruption as the Aam Aadmi Party (AAP) wants us to think? Will it be a Goemkarponn as Goa Forward champions it? Will it be a strong cocktail of development and communalism or development and corruption as some say that BJP and Congress are poised to take? There is no single political in Goa for now. It all depends on how all these issues that affect us strongly are projected by the signifying and asignifying practices in our society. But in all these, there is a definite content of religion. It is being iconised, demonised or trivialised depending on the location from where one enunciates or receives the political discourse. Hence, it is important to decode the invention of the political that politicises us. Besides, we have to understand how the religious assists or impedes the political that is invented in our society. There are competing politicals. To do all this, we have to watch critically and respond actively to the use of religion to the construction/deconstruction of the plural political that politicises Goans differently all the time.